The first step for ordering glasses online is selecting the right frame. There are thousands of eyeglasses frames available, and we recommend using the filter to narrow the results shown so you could easily pick your size, style and desired colors. When ordering eyeglasses online, size is the number one reason a customer will return a product, and this why we highly recommend you to use our sizing guides to find your perfect eyewear. Make sure you have a valid prescription that has not yet expired (over one year) from your eye doctor. As well, we can contact your eye care practitioner and obtain it for you. Overnight Glasses offers four prescription types: Single vision distance, Single vision near or reading, Bifocals and Progressive. A single vision lens provides vision correction for one viewing area. Bifocal lenses are designed with two different viewing areas, one for distance (same as single vision), and one for reading. 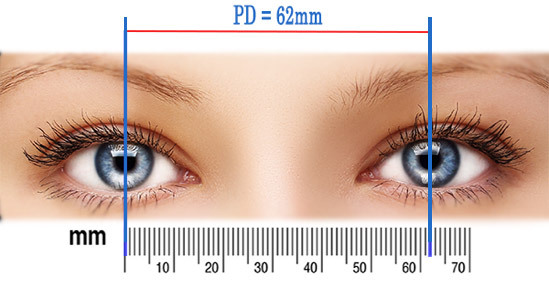 And Progressive is a multifocal lens designed without lines. It has both the advantages of the single vision aesthetics plus the multifocal magnifications. Therefore, it allows the patient to see distance, intermediate and near. Please note that this prescription type must be indicated on your RX form provided by your eye care practitioner. Learn more about progressive lenses. Impact resistant lenses are lenses made from Polycarbonate or Trivex that meant to sustain a direct impact of the Drop Ball test and are mandatory for children. Key in numeric values, exactly as they are listed on your RX form. SPH (Sphere), CYL (Cylinder), AXSIS, PD (popularity distance). Step 3 - Select a lens package. For your convenience, we offer 4 customized packages that are guaranteed to perform and are fitted for your prescription strength. Indoors lenses are clear lenses, Indoors and outdoors are Transitions ™ lenses that turn dark and clear based on the U.V intensity, so you can get both prescription sunglasses and eyeglasses in one. Office lenses are lenses that block blue light radiation. And our outdoors package has polarized lenses for maximum sun and glare protection. All packages include anti-reflective coating, UV, scratch protection and easy clean treatment. You may customize your own lens package from over 700 different combinations. Step 4 - Review order and checkout. Review your order to make sure all your required information has been inserted correctly and the frame has the correct measurements. You may use your credit card, PayPal, Amazon and FSA / HSA accounts to pay for your order. Your glasses will arrive within 3-7 days or 24 hours if Next Day Rush Service selected (3 days for progressive and bifocal). Our customer service is available to answer any question about your prescription and provide any assistance with ordering. Call us at 855-830-3339 (Mon-Friday, 9:30am-6:00pm PST) OR email us at [email protected].